OUR PRODUCTS ARE EXCLUSIVE TO US. We import Direct and Sell at Wholesale Prices. We are more than Happy to answer any question. Local Pick-up allowed. We are on the Southside of Brisbane..Moorooka. As well as all the information you need to keep your Birds healthy and happy we have our own product lines, supported products and publications available in our online shop. These products have been hand picked to ensure that only h ighest quality items make it to our online shelves. Australian Online Store for all your parrot needs, Toys, Supplies, Community Forum. Unique personalised keepsakes for all pet lovers. Excellent gift idea. Birdguys.com has a huge selection of products for your feathered friends. They carry everything from bird cages and cage accessories, to bird food and treats. TSCpets.com is an online pet store of bird supplies and bird medications, including bird cages, grooming aids, carriers, treats, and more. CreativeBirdToys.com©, offering some of the most creative bird toys, innovative bird toys, ecofriendly bird toys, a long with other products for birds & their care givers... We offer: Greenfeather Bird Toys...handmade in the USA "Sqwatters", the flat bird bed perch...handmade in the USA along with bird sleepwear, bird toy parts and much more... Greenfeather Bird Toys are avian enrichment toys that help to stimulate good mental health, excersize for the feathered bodies, incourages the use of their feet & gives the curious beak & tongue lots of textures to explore! While "Sqwatters", the flat bird bed perch provide a resting place & the tents, sleepers or cabanas offer a comfortable place to nap, sleep or hide. Bird toy parts to repair bird toys, to be added to bird toys or just as bird foot toys. Many of these bird toys are created using products such as: 'green' or ecofriendly bird toy parts.....straw/palm leaf hats are woven instead of sewn (threads to be caught by)....wood products from managed forest/renewable resources....recycled & recyclable products....food grade coloring....drinking water rated plastic coils....playing cards that are from sustainable forest paper, starch-based laminat glue & vegetable-based inks & recyclable....natural colored paper products....natural rubber toys....there are lots of bird toy parts made in the USA, along with many bird toys that have all parts made in the USA (except NP hardware)...even the toy tags are printed with soy ink. We have available a Breeder/Hobbyist Pricelist with a minimum of 60kg per order up to a 400kg flat rate for Birds, Dogs, Cats, Horses & Poultry supplies. We stock all types of feeds, accessories, health & supplements at very competitive prices. $12 Delivery fee for orders up to 400kg between Gold Coast & Brisbane. $17 Delivery fee for orders up to 400kg between Jimboomba, Ipswich. Regular local runs are made between Gold Coast & Caboolture every 7-10 working days. Mixed orders are welcome so long as the minimum order of 60kg is met. Please call (07) 3801 1266 or email sales@onlinepetcart.com.au for your exclusive breeder/hobbyist pricelist. For a small friendly pet store that takes time to find the right bird and cage for you, at prices to suit your budget. Everything from nose to tail. For all your pet needs, plus quality advice... "Petwise has the answer!" Brisbane's best range of pet food and pet health products. Free Petwise Club and advice kiosk. Large range of food & bird accessories. Puppy pre-school is AVAILABLE. BOOK TODAY! Everything from nose to tail. For all your pet needs, plus quality advice... "Petwise has the answer!" Brisbane's best range of pet food and pet health products. Free Petwise Club and advice kiosk. Large range of food & bird accessories. We stock hand reared pet cockatiels, budgerigars including bush budgerigars, finches, canaries, sun conures, green-cheeked conures and other parrots. Our birds are carefully selected and well cared for in a clean a bright environment. We also stock all the accessories required for your pet bird’s care and lots of extra toys and environmental items to bring life to your bird’s home. Finches, budgies, big & small parrots. Large variety of aviary birds & hand-reared. Buy your pet from the pet shop that has an expert in everything. Wide range of pet accessories for all types of animals & pet mince. Specialising in tropical and fresh water fish and aquariums. Everything for your best friend. Friendly, professional service for complete pet, aviary and aquarium care. Taree Pet Barn is a licensed bird dealer with a wonderful selection of Finches, Parrots, Budgies and Hand-Reared Birds. Taree Pet Barn also stocks Bird Seed, Dry Foods, Nesting Boxes, Bird Feeders, Bird Drinkers, Vitamins, Medicants, Toys, Cabinets and Bird Cages. We sell Finches, Canaries, Budgies, Cockatiels, seed, cages, toys and nesting boxes. The complete shop for all your bird requirements. Extensive range of Australian and Exotic birds and specialists in hand raised pet birds. SORRY, WE ARE CLOSED We would like to take this opportunity to thank all our wonderful customers that we have had the pleasure of knowing over the last 20 years...we will miss you and wish you and your pets the best for the future. We welcome our old and new customers to our brand new store at Pets-R-Us Noosaville. We sell pets and all their needs. We have adorable puppies, kittens, hand reared cockatiels, budgies and other parrots. We also have Land Hermit Crabs, frozen live food for reptiles and a range of fish tanks, foods and accessories. Bird supplies and accessories. Free advice. Budgies, cockatiels, finchs, small parrots, hand raised and aviary birds available. Open 7 days a week. Friendly advice and service. A wide range of bird foods and accessories available. Easy Parking. Specialising in Licensed and unlicensed birds. Large Range of Reptiles Enclosures, Frozen Foods, Live Crickets and Mealworms. Heat and UV Globes. Irene and Frank's Fins, Feathers and Furry Friends. Personalised service. Largest Range of Pet Accessories and Food. Open 7 Days. Accessories; cages; food; suppliments; variety of breeds available. Fish And Feather is where you need to go if you want a bird, reptile, creepy crawly, fish, puppy, kitten, rodent, rabbit, guinea pig, ferret or frog. In fact, if you want to own it as a pet, we can help you. We even keep all the food, accessories and gear you'll need to make pet ownership a no hassle part of your life. We have available a variety of Budgies, Finches, Ring-Necks, Cockatiels, Peachface (Love birds), Jap Quails, Doves and at the moment we have some hand raised Green Cheek Conures in store too! It depends on the day as to what types of birds we have in so if you are looking for a particular type of bird, we can sometimes get them in for you on a special order. 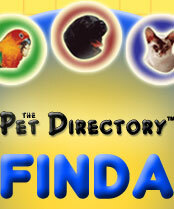 Accesories, Aviaries, Breeding, Cages, Food, Medications, Products, Toys. WE HAVE GREAT RANGE OF BIRDS! Selection of large & small bird cages - seed, treats and tonics available in store. Our pets are checked and handled daily for health and well-being and we encourage you to take the time to choose a pet that will fit your lifestyle and budget to become part of your family. Stocking the best premium bird food brands such as Vetafarm, and fun toys such as Perches, Swings, Climbing Ropes. We stock a wide range of Bird Foods. Australia's newest Bird Trading website, BirdsForSaleOnline.com.au. Buying and selling birds has never been this easy! Online retailer of bird food , accessories and toys to please your bird. OUR PRODUCTS ARE EXCLUSIVE TO US. So you can buy at wholesale prices. SEE US ON THE CCCQ GROUNDS AT DURACK DOG SHOWS! DOG SHOW TROLLEYS, DOG CRATES, SOFT KENNELS, LEADS, COLLARS AND OTHER DOG ACCESSORIES. *There are currently 683 people online.